Gay rights activists crashed the “Celebration of Marriage” rally. Gay rights activists crashed a traditional family rally at the Utah state capitol on Tuesday. 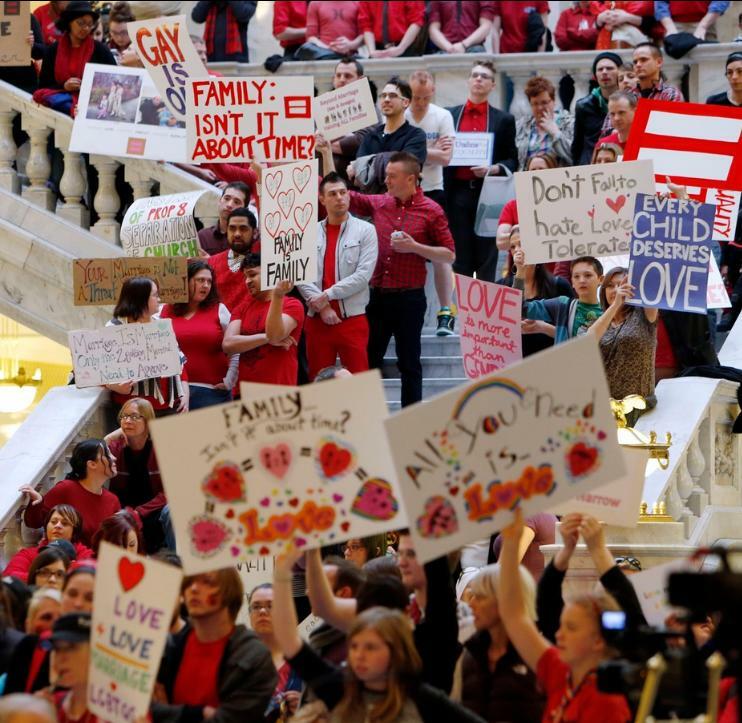 Organizers of Tuesday’s “Celebration of Marriage” at Utah’s Capitol Hill got a much larger crowd than they probably expected. The evening was intended to celebrate traditional family. While that did happen, people who attended were surrounded by hundreds gay rights activists. Tuesday’s celebration of traditional family marriage had everything: the Osmonds, the Governor, and hundreds of gay rights party crashers. Needless to say it was not what traditional family supporters expected. “Do you think it makes this thing tense?” asked Reporter Brian Carlson. “In some ways yes, in some ways no,” said Claus Nielsen, traditional family supporter. “It breaks my heart to see some of the signs around her that talk about hate, there’s one I’m looking at right now that says ‘Hate is not a family value,’ and that’s not what this is about, it’s about sharing love but standing up for what we believe,” said Jill Johnson, traditional family supporter. “I don’t believe that man defines marriage, but God defines marriage,” said Cameron Smith, traditional family supporter. With protesters in every direction, celebrating traditional marriage seemed to take on extra emotion especially during a young speaker’s remarks.